On Saturday night, I opened the refrigerator door to reach for a beer and realized that I'm tired. I'm tired of the overwhelming number of craft beer choices. There are too many. I'm certainly not the first person to think about this issue. Other beer bloggers have written about it. And researchers in the fields of economics and psychology have focused on the perils of too much choice. Choice, they say, leads to paralysis or second-guessing. I began thinking about this problem in earnest when music was taking off in digital form. I remember sitting down at my new iBook in 2004 (was that really 8 years ago?) and cruising around some of the new mp3 blogs. At that time, there were only about 5 or 6 prominent music blogs. Those blogs were posting only a few new songs every day, with the ostensible purpose (wink wink) of driving you to the iTunes store or CD Baby or Amazon so you could buy what you just sampled on the blog. Given the small number of blogs and the relatively small number of songs you could sample, it was fairly easy to sort through what you liked and what you didn't like in a reasonable period of time. Just a year later, the number of music blogs had metastasized. Most blogs were poorly written and curated, but many were very good (including this fine local specimen). And they were all posting multiple posts a day, with each post containing multiple songs. They rolled out a tsunami of digital music every day. I would get through one blog's daily postings and move on to the next. And the next. And the next. I found that I couldn't stop; I thought that I might be missing that one great song from that one great album that none of the other blogs had written about. I'd shut down my laptop thinking that I'd call it a night of music blog scanning only to second-guess that decision. So I'd open my iBook back up again and look at a few more blogs. And a few more. Then mp3 blog aggregators started appearing, which made searching for new music easier but only marginally so because the number of music blogs kept growing. As a consequence, I decided to call it quits and go back to good old word-of-mouth advice from friends when it came to music. Some of my HBG colleagues have posed this question before, albeit it in a different form, but I'll pose it again: Have we gotten to the same point with beer? While in Chicago this summer, I walked into Binny's Beverage Depot and spent almost 75 minutes culling through beers that I cannot get here in Indiana. I still walked out of the store feeling like I had missed beers that I should have bought but didn't have the patience to look for in the store. The same thing happens when I walk into Kahn's or Parti Pak or Crown Liquors. And I haven't even mentioned the beer bars in this town with extensive beer selections. So at what point does it all become too much? Here's what I've begun doing more often now, particularly when it comes to drinking at home: buying and drinking what I know is reliable. Buying and drinking what I know I like. 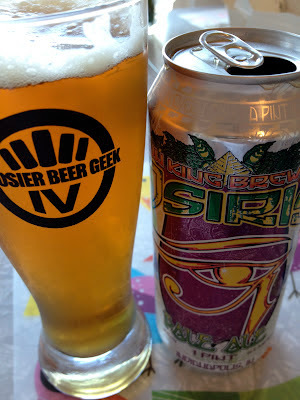 I like Sun King Osiris Pale Ale. I like People's Mound Builder IPA. 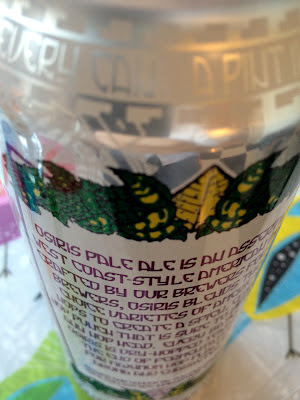 I like Flat12 Pogue's Run Porter (which I can now get at Trader Joe's--nice work, guys). I like Fountain Square Backyard Porter. I like Upland Wheat. I like Three Floyds Alpha King. I like Great Lakes Edmund Fitzgerald Porter. And New Albanian--I would be forever grateful if you put Beak's Best or Old Bob's 15-B in bottles. Does this make me boring or even lazy? Perhaps. But I feel comfortable. I feel satisfied. And most importantly, I don't feel anxious. This is, I think, where brewing beer comes in for me. The first 3 years, I would get a wild hair and brew something I couldn't get commercially, like a dunkelweizen or a maibock. 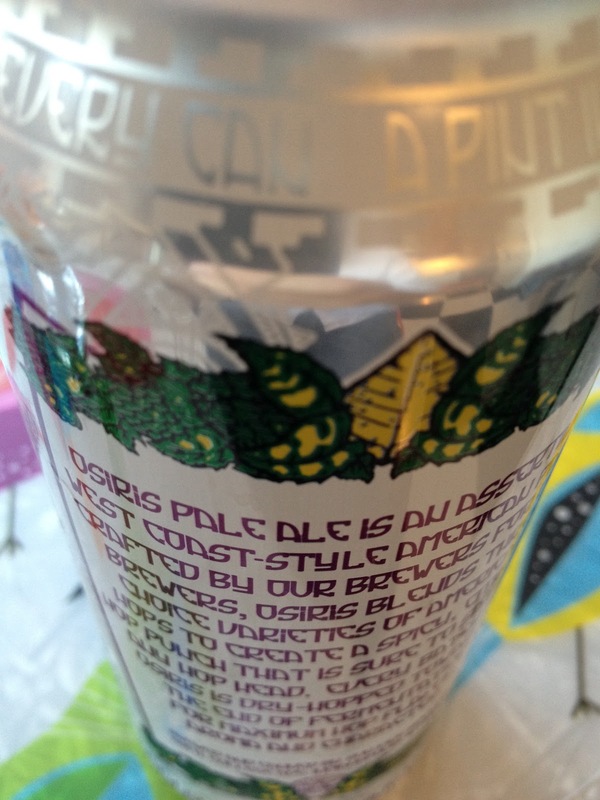 I noticed I was still buying IPAs in bottles, because I wasn't making IPAs. Then I would brew a beer, and wish I had made an IPA. This was actually the first year out of 3 since I've owned 4 kegs that I put an IPA in a keg. This year, I've focused on my favorites - pilsners, dry-hopped pale ales, IPAs (including black ones) and other German-style lagers like bocks and just plain old German lagers. Because that is what I like. If I want something wacky, I can go get a sixer, like the Salvator I bought a few months ago, or the Shift that looked good, or the Upland Maibock (my GOD is that a solid beer!). Of course, I'm partial to the Buckaroo Bonzai reference! But it is very fitting for this post. Enjoy what you know and where you are! Jim - I really enjoyed reading this article. 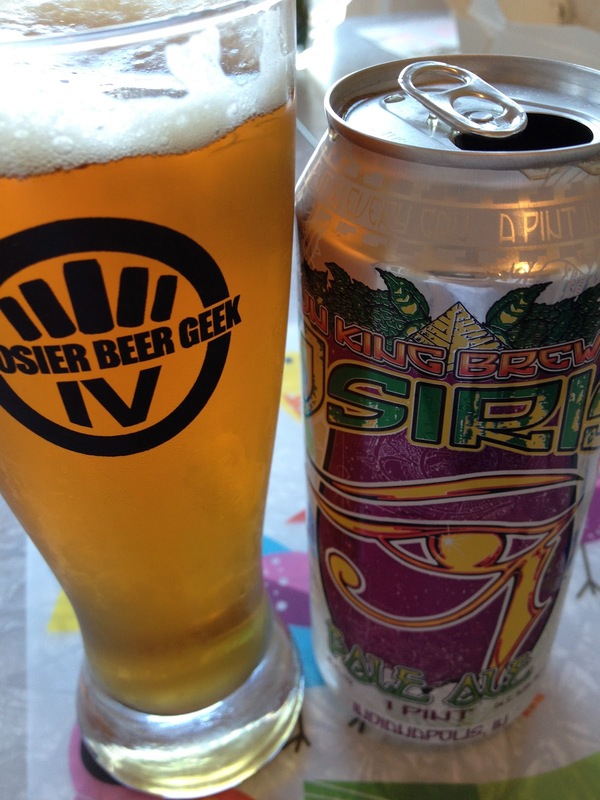 We've seen amazing brewery growth here in Indiana and in my opinion, have plenty of room to continue to grow. I think the key is to do exactly what you do...explore, keep your eye out for new great beers, but always have a set of reliable ones on hand. The beauty is that there's a near endless supply of great beer here, so I think the key is just enjoying what you've got and not looking back (until your fridge is empty anyway).